You will most certainly be living well overseas if you move from the United States...maybe not if you retire to Monte Carlo, or expensive European cities... But this is definitely true if you consider retiring to the much more affordable countries in central and South America. One of the benefits that you could expect to enjoy if you retire is a step up in your standard of living. Although this is primarily driven by the cheaper lifestyle, it affords one a chance to step up in social standing...I am assuming of course this may be of interest to you ...if not it will happen anyway. We noticed this when we lived on our sailboat... It just seemed that we were treated with some deference as an American living overseas. For instance, when we went to our favorite restaurant in Puerto La Cruz, Venezuela...we were greeted warmly seated at a prime table and we always seem to get the same smiling waiter...our lunch consisted of calamari and a chicken breast... Along with a couple of the 10 ounce local beers...Polar... Our bill came to about five dollars so a two dollar tip on top of that meant for smiles all around and we felt very welcome. Of course this is not automatic... We always went out of her way to be polite and to smile and to realize that we were guests in a foreign country. We found that everyone rich or poor has a certain amount of pride and dignity...accepting that fact does not mean that you have to condescend... But only show the locals the respect that they deserve as being your host. The feeling you get when you live overseas... Is very much like how you are treated on a cruise ship... You are surrounded by foreign workers, and they will bend over backwards to help you enjoy your cruise ... All you have to do is treat them with a little common courtesy and everyone has a good time. 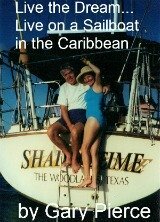 When we lived in St. Croix, I was regularly embarrassed by the behavior of some of the cruise ship visitors...the ugly American is not a myth... Saying that the streets are filthy, or the people stink, or I can't wait to get back on the ship... Were some of the common conversations that we overheard. If this is your attitude, you should not expect to be living well overseas, in fact you should not consider leaving the United States. Retiring overseas is not for everyone...read this page please. If you would like to endear yourselves to the locals you may look for opportunities to be of service to them... For instance helping teach conversational English may be a great way for you to make friends and become absorbed into your new home overseas. Being a non-ugly American will then find you invited to social and community events that the locals may prefer to keep to themselves. 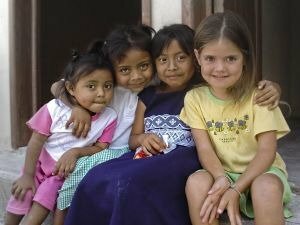 Something tells me that this young lady and her new best friends have found the key to living well overseas. It's that old golden rule stuff, and there's nothing wrong with that at all. Don't think you're going to be uncomfortable living in a foreign country, most foreigners are shy and overly polite...embrace a new culture. A must have for the latest news on living abroad International Living Magazine...simply the best.